Opportunities are available for individuals and organized groups. 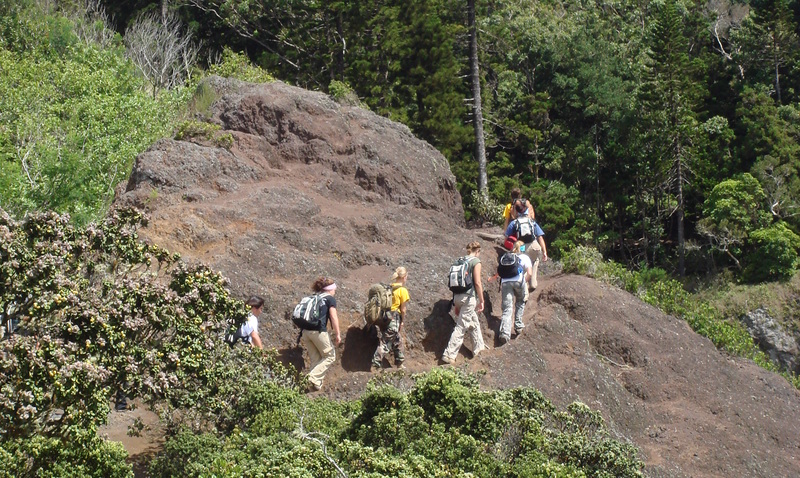 The guidelines below will help you get started as a volunteer with the Army’s natural resource program via the Research Corporation of the University of Hawai’i (RCUH). Mahalo for your interest in volunteering with us! No experience is necessary to participate in natural resource program volunteer trips. However, all participants must go through the volunteer application process. Once you have signed up for a volunteer trip or waitlist, outreach staff will follow up with you via email to start the application process. (Please note that all volunteer applications completed prior to 2019 have expired). We will gladly organize a volunteer experience for groups that carry their own insurance, or group members can apply individually via through our volunteer application process. We plan trips based on group experience level and natural resource program project needs. We typically book at least three months in advance and can host up to 10 participants (including chaperones) at a time. We may be able to accommodate specific location requests if you are able to book early. Please contact outreach@oanrp.com to schedule a volunteer opportunity. Groups affiliated with public/private schools, Boy Scouts of America, or other youth programs are welcome. Recommended for grade four (4) and higher. A representative (e.g., Troop leader) from the organization must be present on the trip.